The popular take: Guetzli is an ingenious, Google-backed shot in the arm for the dusty/trusty old JPEG format, which – if you’re willing to wait for its extremely computationally intensive algorithms – produces JPEGs that are 35% smaller (or better) than was previously possible. Has Google managed to squeeze blood from a stone? I’ve been running some tests to find out; the truth is more complicated, nuanced, and, I think, interesting. Read on! Lossy encoders throw data away. Good ones do so artfully, so that we don’t notice. A well-encoded lossy image will look just like the lossless original (to our fickle yet fallible human eyes), despite containing a fraction of its information. For decades, the image quality metric of choice was PSNR: a tidy piece of information theory which measures the signal of the original against the encoder’s lossy artifacts, or noise. In 2004, a handful of researchers introduced a new, arguably better, model: SSIM. SSIM was built on a few key insights about some high-level perceptual concepts. Turns out, we pay special attention to patterns and “structures” (and often ignore the really bright bits of an image). Guetzli’s raison d’être is a brand new metric for image quality, developed by researchers at Google, called Butteraugli. Butteraugli takes modeling the complicated and particular ways that our biological systems actually work to a new level: cells in the retina. Its project description includes the phrases, “low density of blue cones in the fovea” and “more accurate modeling of ganglion cells,” for goodness sake! Butteraugli is brand new, largely untested, and really interesting. It’s the brains behind Guetzli. In most encoders, when you select a “quality” at encode time you’re picking an integer between 1-100 that the encoder’s designers have arbitrarily mapped to a set of arcane technical parameters. As a result, encoding with a “quality” of 86 doesn’t mean that the resulting JPEG will be “86 percent good” in any objective or portable way. Photoshop’s 86 != libjpeg’s 86, and even with the same encoder and input quality, output quality, as measured by metrics like Butteraugli or SSIM, will vary from image to image. Cloudinary’s q_auto tries to do better. 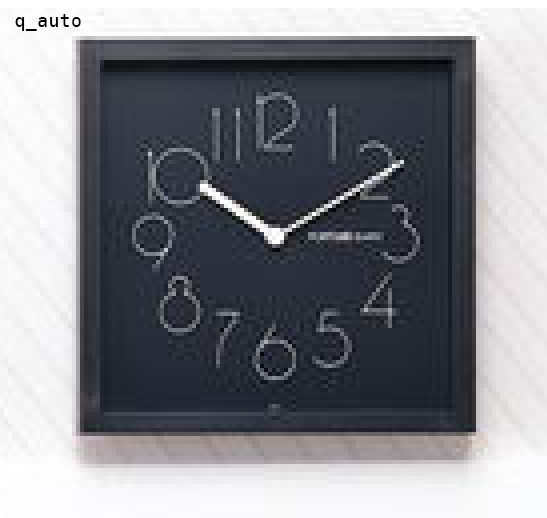 q_auto’s four quality levels (:best, :good (the default), :eco and :low) don’t map to specific sets of arcane encoder settings – instead, via heuristics, a trial encode or two, and some quick checks with a custom SSIM metric, q_auto dials up custom encoding parameters for every image, tailoring them to fit each image’s unique compression characteristics. q_auto lets you select an output quality. 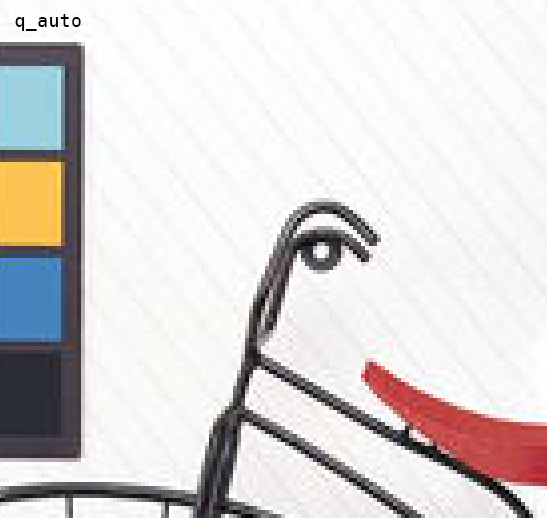 A q_auto image will always look good; a q_auto:best image will always look great. Guetzli takes this idea to its logical extreme. When you select a Guetzli quality, what you’re actually selecting is a specific Butteraugli score; Guetzli then does dozens of full encodes, methodically dialing parameters up and down and measuring the results, until it achieves that precise score. This stubborn precision, more than anything, is what makes Guetzli so slow. Which brings me to my next point. “Please edit the source code”! The sass! The second run threw me, too: I’d heard it was “slow,” but encoding a one-megapixel image ate up 300 MB of RAM and took a minute and a half. Mozjpeg completes the same task in 300ms. What does this actually look like, in practice? Here’s a comparison between three versions of the Mona Lisa: a lossless original, and JPEGs encoded by both Guetzli and q_auto. My first impressions: both the Guetzli and the q_auto look quite good. Up close, both seem slightly “fuzzier” than the original. But neither really seems much better or worse than the other – and the q_auto comes in 19% lighter, by bytes. Breaking out my pixel-peepers, I could start to see some more interesting differences. 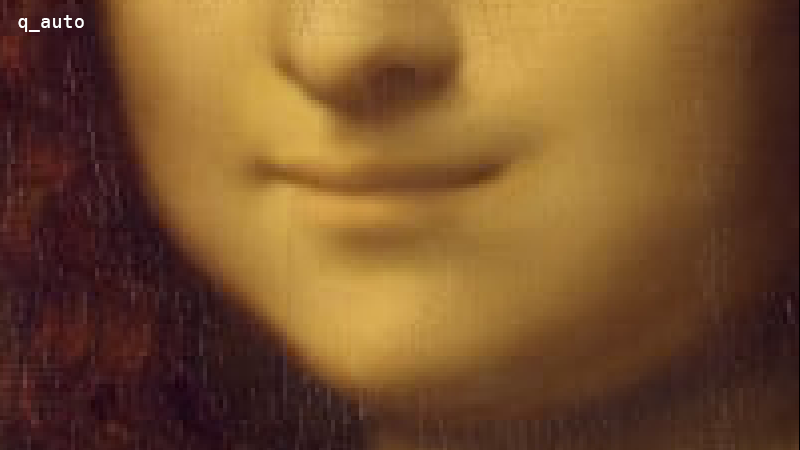 In Mona’s face, q_auto appears smoother; Guetzli, blockier. This is evidence of Guetzli working as designed. Guetzli aggressively snaps JPEG DCT coefficients to 0, which results in lots of rather solid 8×8 blocks. It can afford to be aggressive because Butteraugli knows which artifacts we’re likely to notice when the image is viewed at a given resolution and distance1. Block-boundary artifacts that are invisible to my unassisted eyes mean it’s working. 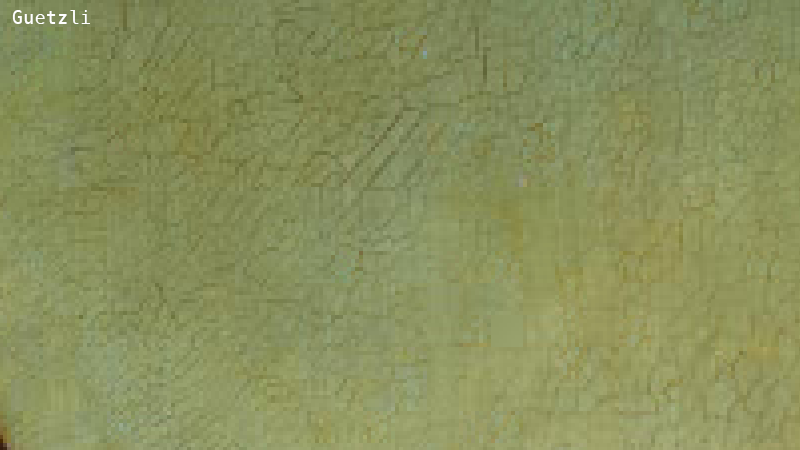 Under the loupe, the Guetzli also looks a bit crisper, preserving more of the hairline cracks in the painting’s glaze. Guetzli appears to be spending everything that it saved in smooth areas like the face (and 20% more) on fine details like this. So, which is better? DSSIM2 slightly prefers the q_auto over the Guetzli; to my (unassisted) eyes it’s a toss-up. But, again, the Guetzli came in ~20% heavier at it’s lowest-possible quality setting. I was starting to have some doubts about Google’s “35% better for the web” claim. My colleague (and the man behind q_auto) Jon Sneyers, provided a different comparison, which highlights Guetzli’s strengths. This time, the two JPEGs weigh just about the same. And while DSSIM still prefers the q_auto; I think the Guetzli is evidently superior. It looks “cleaner”, with fewer ringing artifacts around the image’s many high-contrast edges. One bad thing: Guetzli completely erases some of the fine, light-gray lines in the background drapes. Oops! Overzealous zeroing, methinks. Still: point to Guetzli.